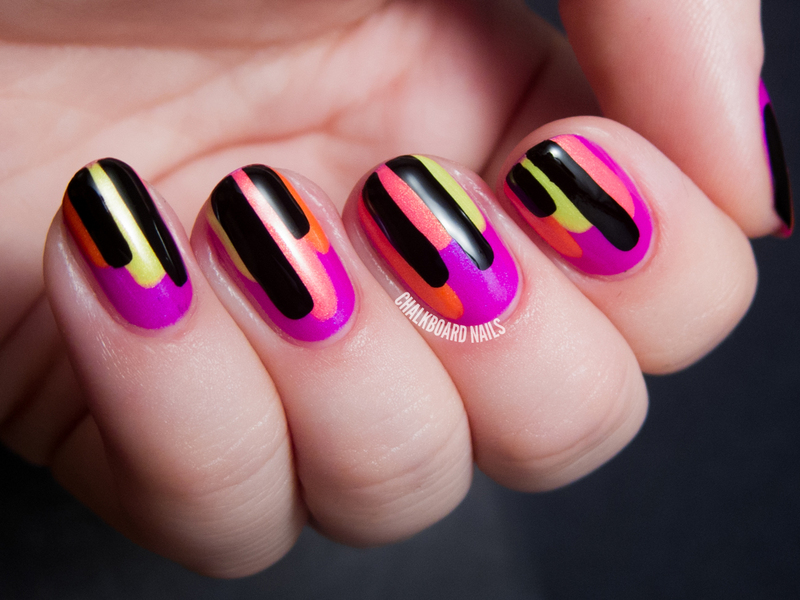 The newest Nailbox Trendbox is out, and guess what... I curated it! I am so proud of the box that I was able to put together -- it feels very "me" and I think you'll love it as well. My Pre-Fall 2014 Trendbox costs only $35, and includes four lacquers (two cremes, a neon shimmer, and a metallic), a matte topcoat, and a set of bonus nail wraps from Nailbox. You get a tremendous value for a fraction of the price, and the box is available as a one time purchase or as a quarterly subscription. Let's take a look at some swatches. Last week, OPI challenged me to the ALS Ice Bucket Challenge. In lieu of dumping the ice water on my head (eek... I'm chicken! 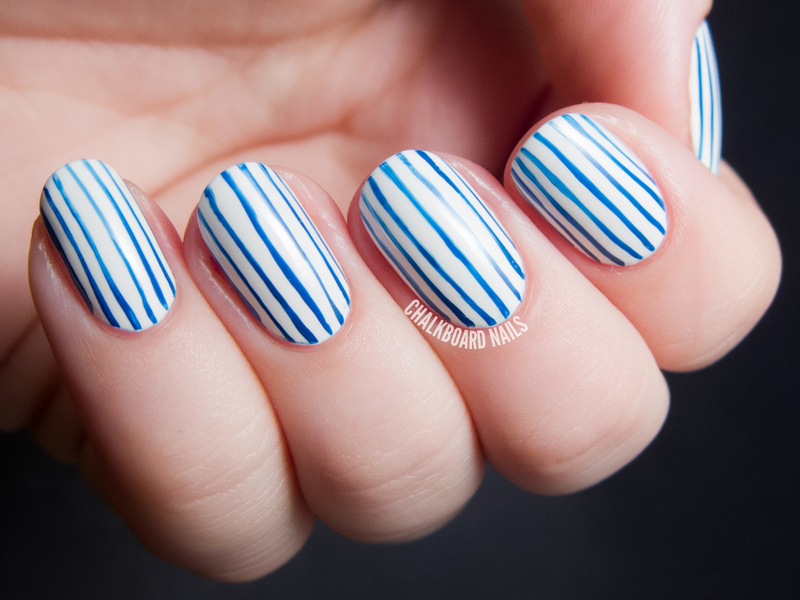 ), I chose to donate $100 to ALSA.org and do this nail art inspired by the ALS awareness ribbon, which is blue pinstripes on a white base. ALS, or Lou Gehrig's Disease, is a disease that has personally impacted my life, as my grandpa passed away from a few years ago. I made my donation in his memory. If you have a moment, ALSA.org's easy-to-read summary of the disease is worth a read. It's once again Lacquer Legion day, and I'm cutting it a bit close! The theme is "Weird Science," which is so broad that I was almost paralyzed with indecision. In the end, I chose to try to depict the surface of the moon. Sean just got a really legit telescope and we have been doing a bit of sky-watching lately, and of course one of the first things we looked at was the moon. It's amazing to see the craters in such detail, especially where the moon transitions from the light to the dark side. I know I just said that I don't often do leopard print nails, but this one is a little different than my usual leopard fare. I recently received a couple of the new Jesse's Girl Satin Finish nail polishes to try out, and thought it would be a good time to try out some satin vs. glossy tone-on-tone nail art. 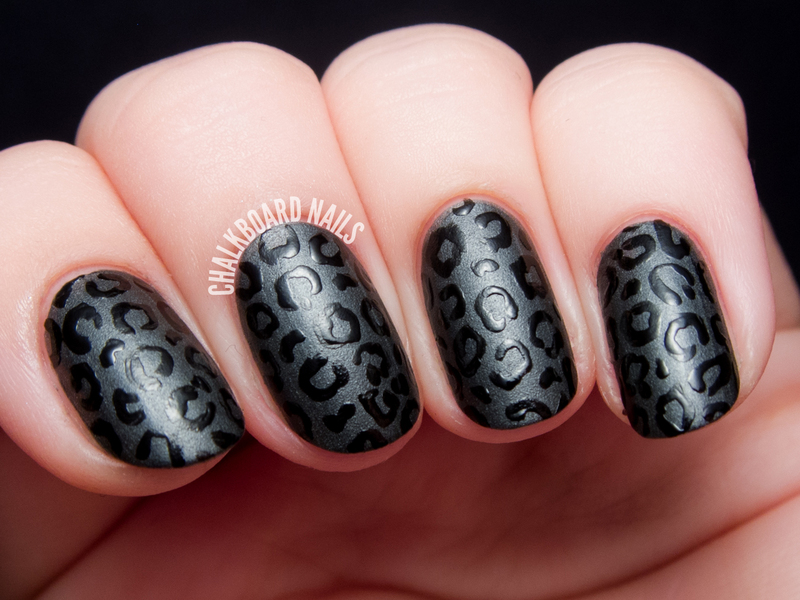 I paired Jesse's Girl Black Satin with a black nail polish for the leopard details. Today Girly Bits has launched a limited edition shade that was created to commemorate Cosmoprof 2014: What Happens In Vegas... Ends Up On Instagram! 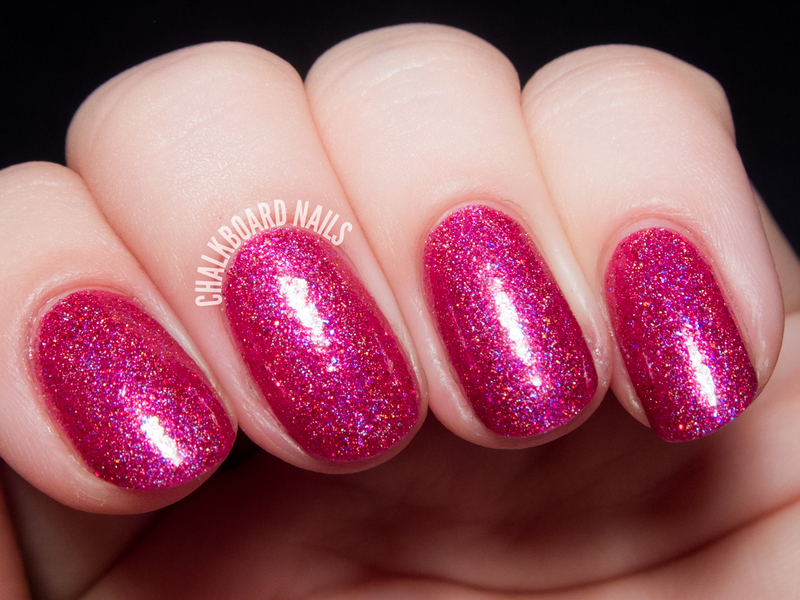 This shade is a beautiful raspberry pink with holographic sparkle and glowy purple specks. Last week I had the absolute pleasure of attending the second annual Sally Hansen #IHeartNailArt grand finale as a judge! If you'll recall, I judged the competition last year, and was thrilled to return this year and see what this year's competitors would have in store for us all. I arrived at the Refinery Hotel in New York City ready to rock and roll. The other night I sat down at my nail table with a blank mind. As I started to brainstorm, I thought it would be nice to do something with fine lines, so I could continue to work on my freehand control. I started digging through my stash for a base color, and grabbed one of my favorite purple polishes. I thought periwinkle would go nicely with the purple, and then added black and white into the mix for good measure. 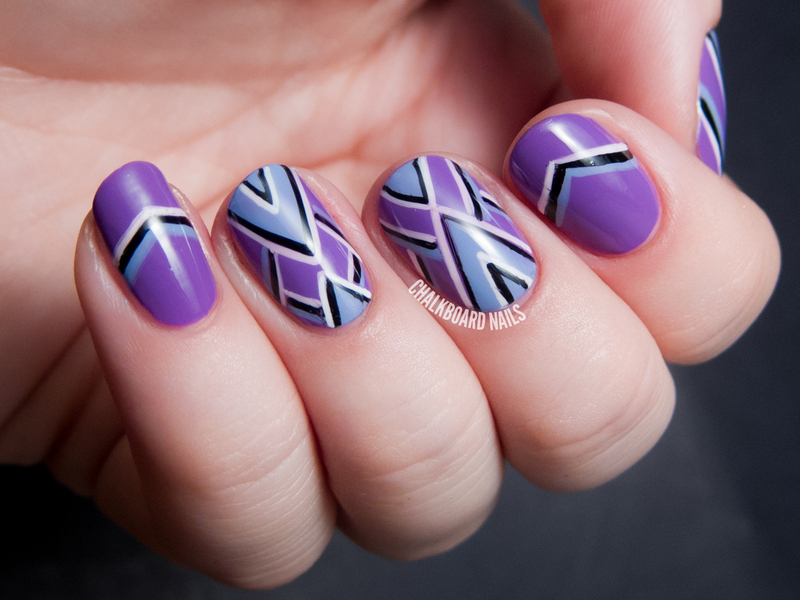 I ended up freestyling this purple chevron design, adding elements as I saw fit, until I had a finished look. 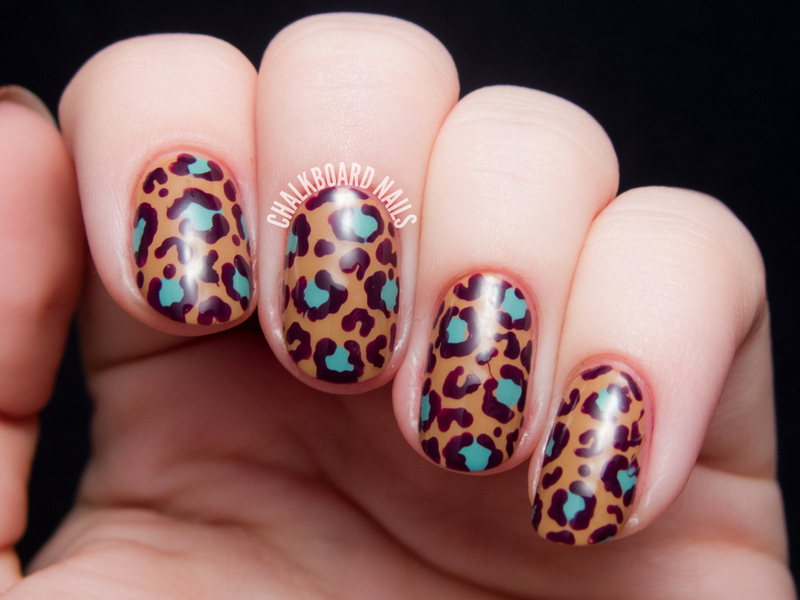 I was recently reading a post on Work/Play/Polish where Leslie talked about how she overdid leopard print nail art at the beginning of her blogging career, and hasn't done it very much recently because of that. I have to agree with her sentiments. It's definitely one of the nail art styles that I've done most over the years, and I tend to shy away from it these days. Of course, there are exceptions, like today's post! I've seen a lot of gorgeous half moon/French combination nail art lately, and was feeling inspired to try it for myself. I've been particularly loving these looks from Chelsea Queen and Madeline Poole, but was a bit concerned that I don't have quite the steady hand that those ladies do. Thankfully, it turned out better than I had expected! With September rapidly approaching, it's almost time for a classic Chalkboard Nails tradition: the 31 Day Challenge! The 31DC is a whirlwind of fun and I tackle it every year. As always, I invite any of you to participate! 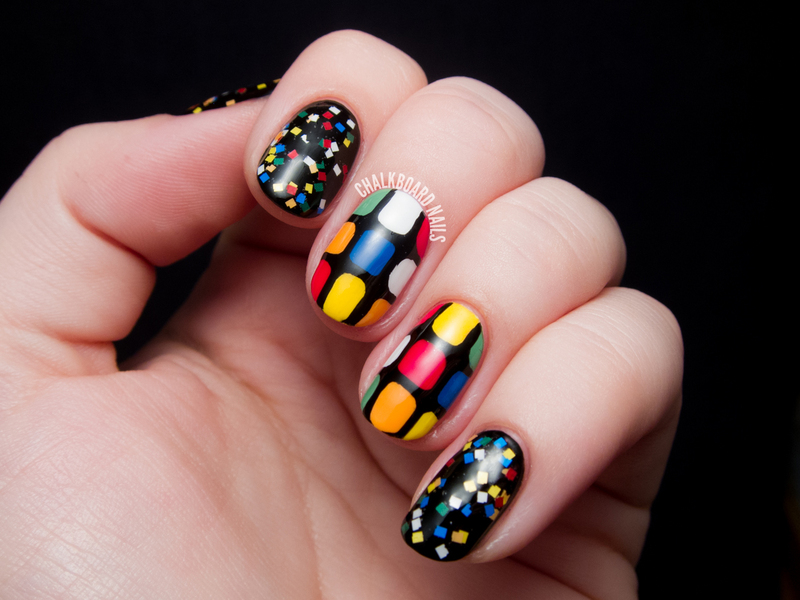 Commit to it, challenge yourself, and grow as a nail artist. Wanna see what I've done previously? Check out my roundups for 2011, 2012, and 2013. How about something a little moody today? For this look, I grabbed two of the new purple shades from the OPI Nordic collection and used them in a gradient, along with a bit of black for the tips. Then I added some black and white splatter studs to give the look some extra pizzaz. 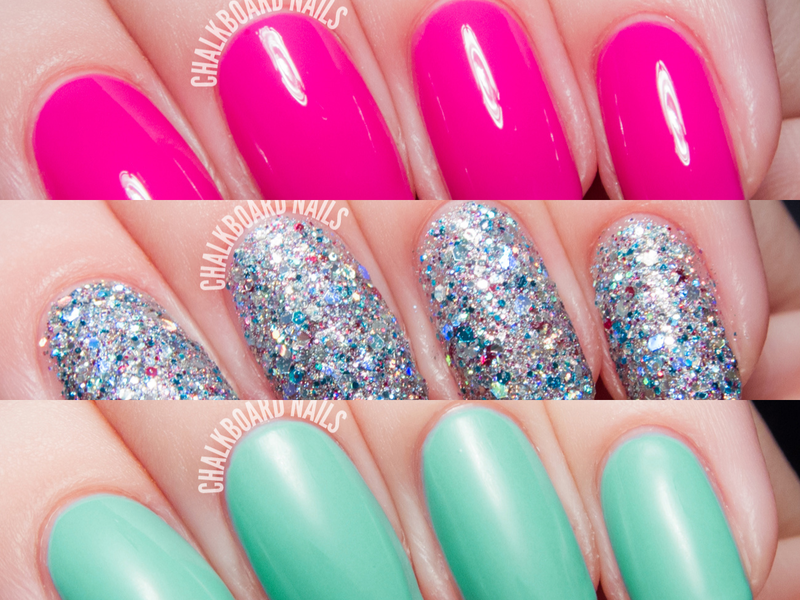 It's been a bit since I featured some Girly Bits shades on this blog! 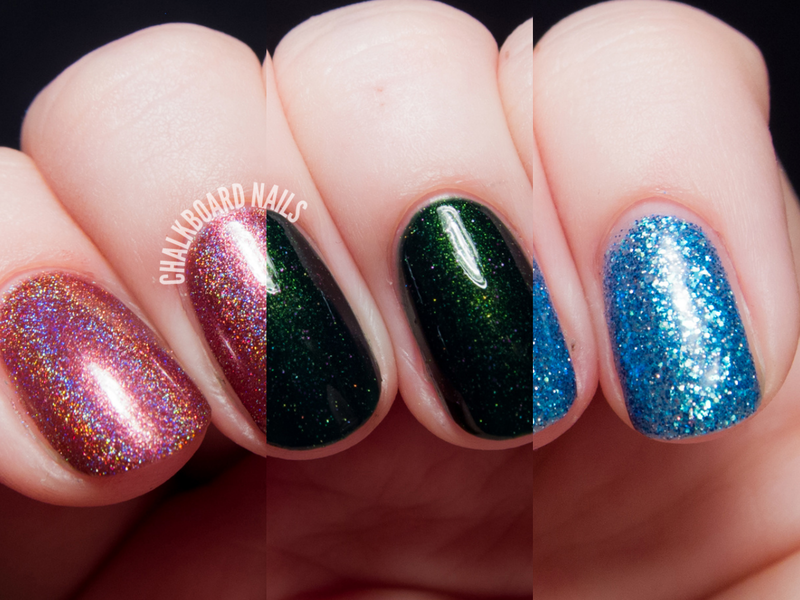 Here are some swatches of three shades I've had on recently: Auld Langs Wyne, Lay Down with Number 13, and Off the Scale. Let me know which one is your fav in the comments! Serum No. 5 is celebrating their second anniversary with the release of a fun glitter topper in Serum's company colors. 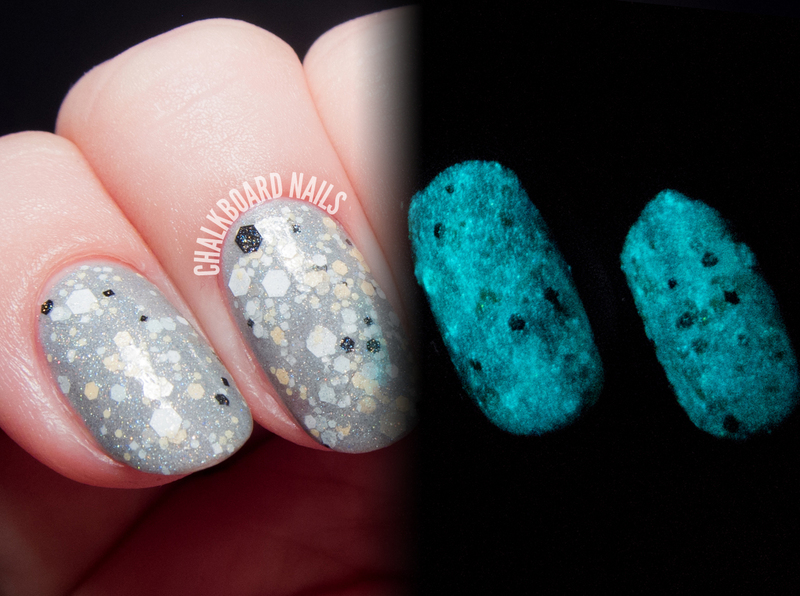 Of course, no signature Serum would be complete without a glow in the dark effect, so this beauty has that too! Looking for a new way to get nail content delivered right to your brain? Consider Nail Newscast, a brand new podcast dedicated to all things nails and nail polish! 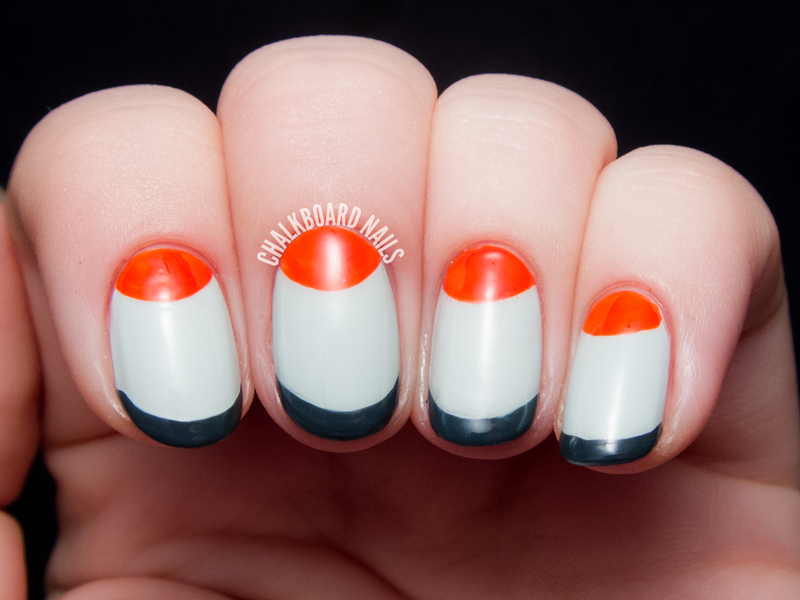 Hosted by Tia from Iced Lacquer and Courtney from Swatcher, Polish Ranger, this show covers all sorts of nail-related content like sales, trends, new collections, interviews with bloggers and indie makers, and reader submitted questions. Episodes are released every Wednesday. 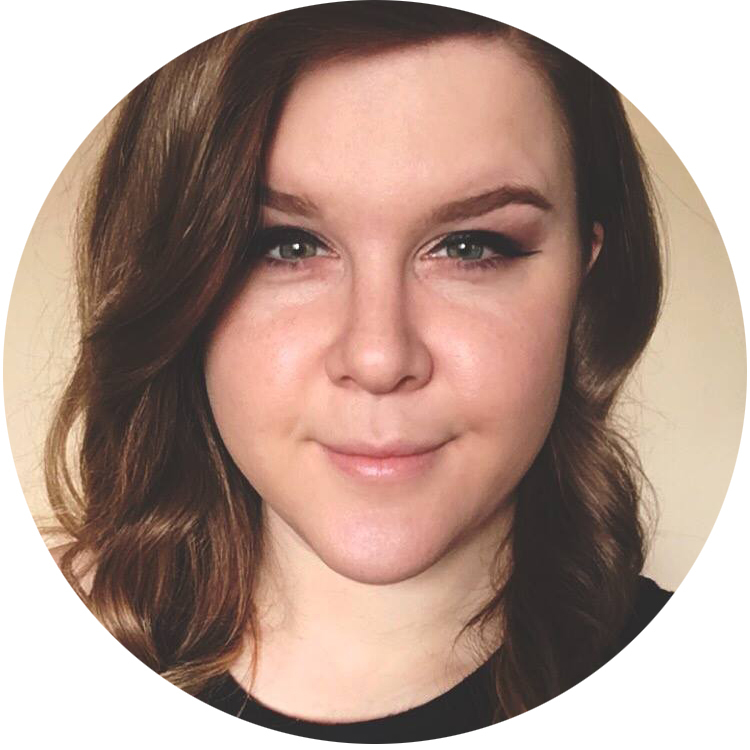 As it happens, yours truly was the blogger interviewed for their inaugural episode! 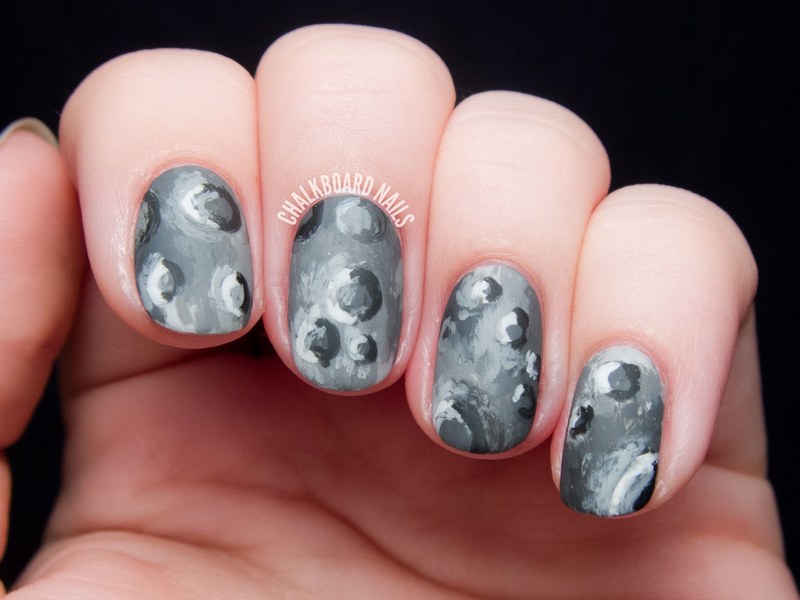 Hop to the Nail Newscast blog to check it out. My interview begins at 25:40, but I'd suggest downloading the whole episode from Soundcloud as an MP3 and loading it onto your phone for your commute to work. I really look forward to seeing where these ladies take this podcast, and was excited to participate in the first broadcast. Check out Nail Newscast on www.nailnewscast.com, Soundcloud, Facebook, Twitter, and Instagram. I recently purchased and wore Illamasqua Raindrops, which used to be a cult favorite (and difficult to find, at that). It was lauded for it's soft shimmer and delicate flakes in a pale grey-blue base, and I loved a lot of the swatches that I saw of it online. Unfortunately, the polish fell flat for me. I didn't think it looked great on my nails, and I expected it to be a bit more soft and jelly-like vs. opaque. I decided to embellish it with some cloudy bubbles. 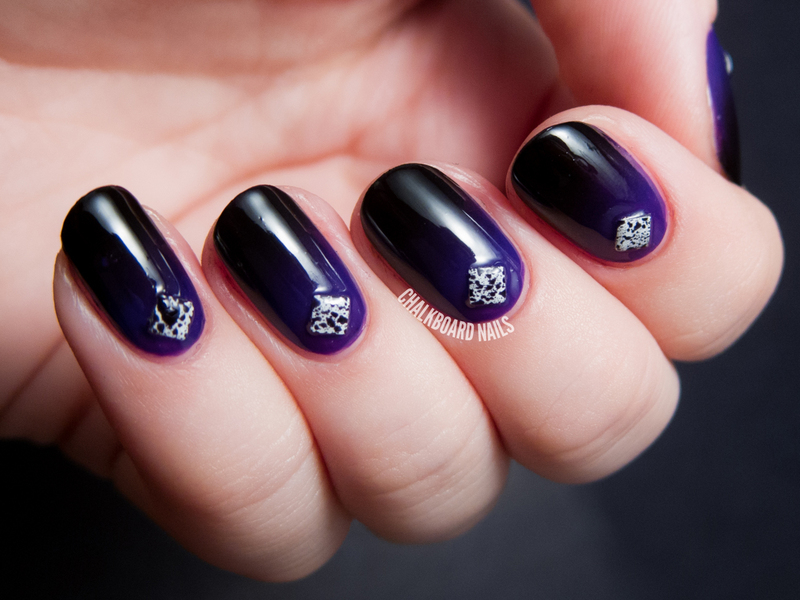 Here's a manicure that I would normally be hesitant to try: glitter over nail art. 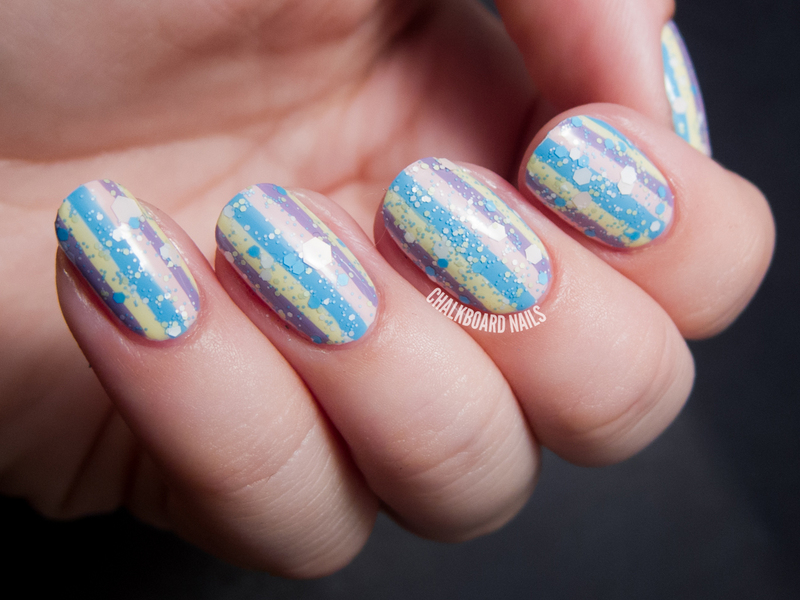 Usually, I'll spend so much time on nail art that I can't even imagine putting something over it. However, I gave it a shot this time and think it was a success! The key is to choose matching color palettes between your glitter and your art. As Cosmoprof is a professionally-geared show, there are lots of salon gel brands and emerging salon technologies there. Though I'm only starting to venture into the world of gels, I've still got a bit of coverage to share with you on that front! I also have some info about some exciting new nail technologies and other goodies. And of course, if you missed it, be sure to check out my first Cosmoprof post on what's new in the world of lacquer. 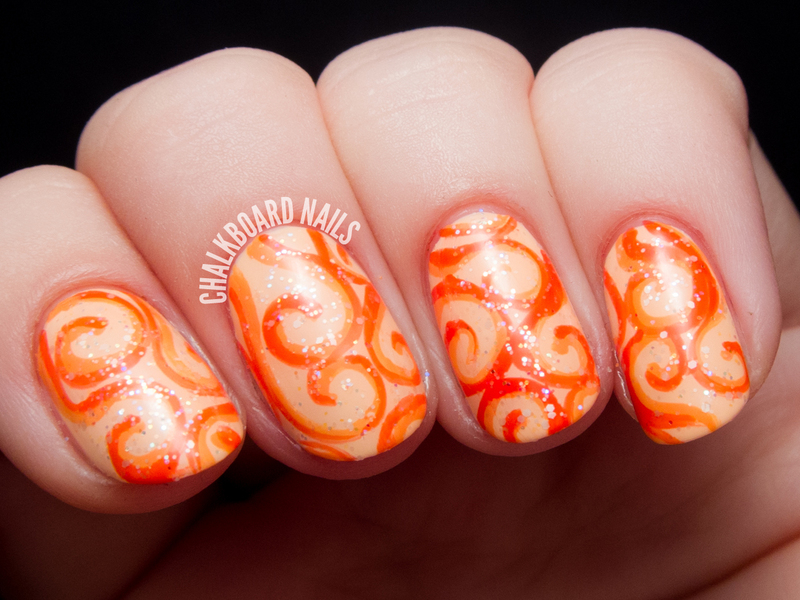 In June, More Nail Polish posted a couple of nail art looks featuring a polish from Lacquistry's new Amazeballs series of polishes. I loved them so much that I eagerly trotted over to the shop and bought two versions for myself: You're So Extra Fine and A Blended Family. I've been eyeing Amazeballs for a while now and was glad to have the opportunity to purchase them.